Manchester United are reportedly losing their patience with leading goalkeeper David de Gea with him being reluctant to extend his contract beyond the end of the current season. The Spain international has been with the Red Devils for the past seven-and-a-half seasons and during this period, he has regularly talked about the love received from the United faithful. Despite this, the shot-stopper has shown a reluctance to pen a fresh long-term contract as he continues to assess whether the club are capable of winning regular silverware in the forthcoming years. According to The Sun, United have grown frustrated with the current contract standoff from the Spaniard and they are keen to dish out a fresh deal before the turn of the calendar year. Should this not be the case, the hierarchy are prepared to trigger a one-year extension clause written into his current contract and they could thereafter sanction his sale next summer, if there is no further progress. 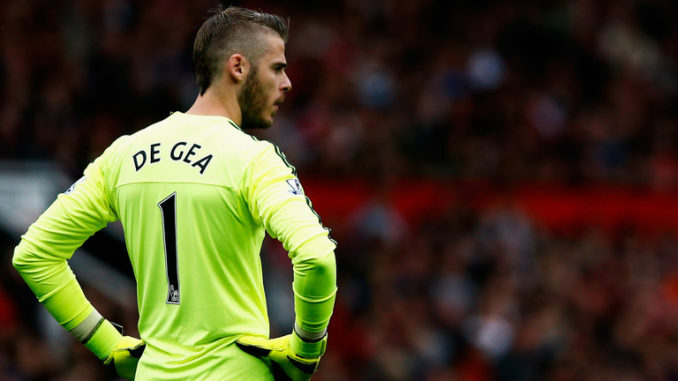 De Gea has been unquestionably the leading performer for United in recent years and this has witnessed him win the club’s Player of the Year accolade in four of the previous five campaigns. Based on this, it comes as a surprise that the board have not been able to convince the Spaniard into a contract extension over the past year and hopefully, they can find a breakthrough hereafter to relieve the tension among most club supporters. United are said to have already placed a bumper £375,000-a-week contract on the table for De Gea and a deal would witness him become the joint highest-paid Premier League player alongside teammate Alexis Sanchez.